Our guide will take you step-by-step through the process to automation. 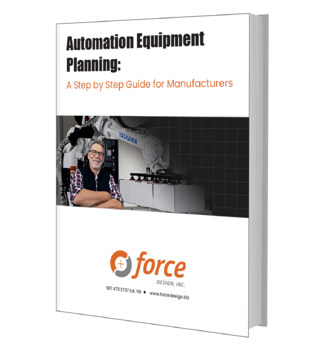 This guide will walk you through the process of identifying opportunities for automation, brainstorming solutions, verifying project feasibility, and selecting an integrator. We know you love doing your job well, and we’ve seen the frustration that comes from not having the people and tools needed to be successful. 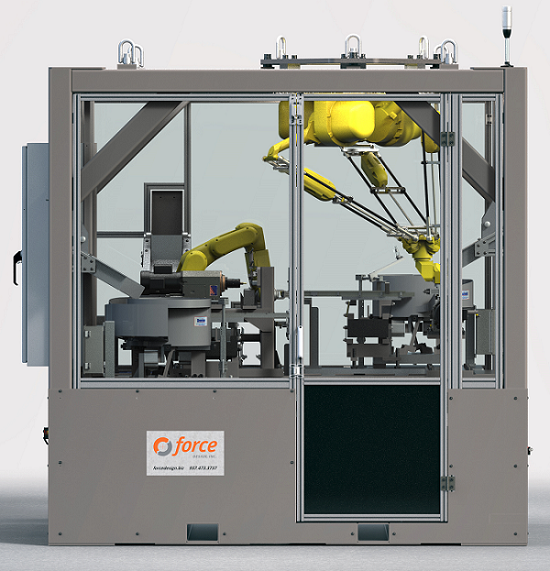 With over 20 years of automation experience, Force Design has helped improve hundreds of manufacturing processes with effective automation. We understand that ineffective processes and equipment prevent manufacturing businesses from reaching their potential. Our team provides automation customized for your business, so you can do great work and reach your manufacturing goals. We'll help create an automation strategy that's right for you. We provide equipment that makes your manufacturing goals attainable. With the right machines and ongoing support, your team can excel. Before Force Design, we used manual operations and struggled to make 100 assemblies an hour. Now, we are comfortably making 210 an hour. Our operators are less fatigued and enjoy working with the automation. Greg C. Boser II, Superior Plastics, Inc.
Force Design developed a phenomenal clamp mechanism that never fails. We use Force Design on many projects and have always had success with their designs. Connect with our team and we’ll help create an automation strategy that’s right for you.